We mothers get a lot of the glory, and rightfully so what with the whole nine-months-pregnant-and-hours-of-labor-and-delivery thing. But let’s not forget the other team member in this whole miracle of life. Dads, being the second favorite parent in most households, deserve apropos recognition and thanks. This Father’s Day, team up with your kids to give their old man a gift he won’t forget. 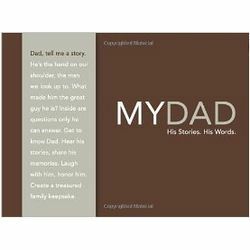 If he’s the sentimental one in the family, go for the juggernaut: gifts personalized with a kid’s picture, poem, or handprint. Got a newborn? An artsy canvas portrait of a father’s hands cradling a newborn’s feet gets ‘em. Every. Time. This engraved wood picture frame points out that anyone can be a father, but it takes someone special (ahem, him) to be a dad. Is there a little girl in the house who’s got him wrapped around her finger? 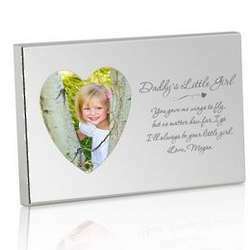 This silver frame with a heart opening and “Daddy’s Little Girl” will melt his heart. Or, remind him of his vital role in Junior’s life with this plaque with a poem about how every son needs a father. Finally, every father wants to leave a legacy. This journal contains interview questions as prompts for him to answer to write about his lif and share pearls of wisdom for posterity. If he’s the fun-loving one, give him something to tickle his funny bone. 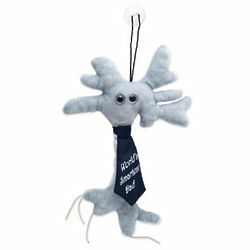 This cuddly brain cell crowns him World’s Smartest Dad. And who are we to argue with brain cells? And if we’re talking smartest, we might as well talk about all-around best, since he certainly ranks up there with the likes of Cliff Huxtable and Frank Barone. Ultimately, the stuff he does and the way he loves the kids is nothing short of superhero material. 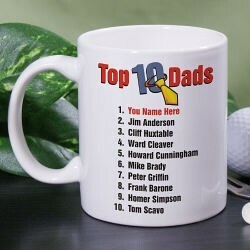 For that, he deserves a special Super Hero Dad t-shirt, complete with a personalized names. This Father’s Day, vow to think outside the tie box. Skip the one-size-fits-all gifts and go for one that’s unique and tailored to his interests. Browse the suggestions below to get a sample of what can be had if you commit to digging a little deeper for one of a kind gifts. 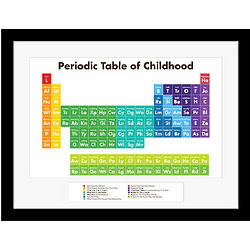 He’s sure to be geeked by this gift, a colorful, modern twist on the periodic table. Instead of elements, he’ll find aspects of childhood such as “dreaming” or “peeking” accompanied by abbreviations to remind him of the true building blocks of life. New parents always bemoan the fact that babies don’t come with instruction manuals. 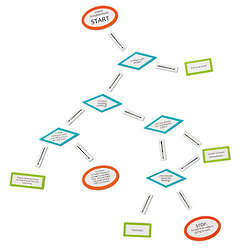 This magnetic flow chart, however, is as close to one as you can get. Think of it as a crib sheet (pun fully intended) for baby-rearing, rearrangable to show dad or any caretaker what to do in every stressful situation. 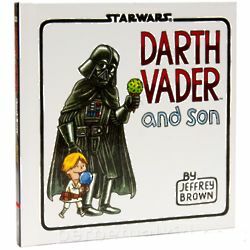 A must for any Star Wars fan, this adorable collection of comics shows Luke and Darth Vader in the best years of their relationship, playing together, enjoying some ice cream, engaging in playful light saber fights. You know, the usual father-son stuff. The next time his laptop is on the fritz thanks to an errant sippy cup, he’ll be able to take a deep breath and laugh about it knowing it could be worse. A lot worse. This collection of OMG moments lays out things kids have ruined. Spun off from the popular blog of the same name, it’s entertainment and catharsis in one. This prescription bottle-turned coffee mug isn’t necessarily Dad-themed but it’s got new parent written all over it. Or how about your own Daddy dearest, who faithfully took family pictures and filed away every single negative? 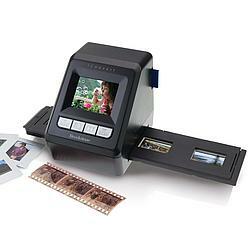 Give him this instant slide and negative scanner to safeguard all those precious photos in a modern, streamlined digital file.